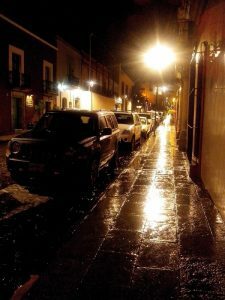 This is the first in a series of travel articles that originally appeared on Dave’s Travel Corner about cities in Mexico. The four articles are Oaxaca, Guadalajara, Colima, and Manzanillo. An article about Xcalak in the Yucatan Peninsula is also available. We first visited the city of Oaxaca in December, during the dry season so some of our mentions in this article may be seasonal related. For example, some of the fruits we saw in the markets may have been only ripe during this time of year, and some of the festivals we experienced certainly only occur during December. This article is about the city of Oaxaca in the state of Oaxaca in southern Mexico. The city of Oaxaca (elevation 5,084 feet) has about 265,000 people which are mostly composed of 16 different tribes. People of Spanish ancestry also live here. Oaxaca is situated in the middle of three valleys, the Valle de Tlacolula, the Valle de Zimatlan, and the Valle de Etla in the north. The early people who inhabited this area were among the earliest in North America to develop astronomy and systems of writing. The city of Oaxaca is a wonderful place to relax, shop and meet the local people. The town revolves around the main square or what is called the “zocalo”. As in most Mexican towns the zocalo is composed of a large open square located in the heart of the city. There are numerous plants and trees that grow in this square. Like several other Mexican towns of similar population size Oaxaca has a second smaller plaza area located right next to the central zocalo. Both areas are surrounded by 1st and 2nd story restaurants, hotels, and many shops. In the main plaza there is a large church that towers above the town. This church was built in the 1800’s and a glance inside will surely impress. Processions, gatherings, and religious events begin and end in the zocalo. December is an ideal time of year to witness plenty of these activities here. There are large gatherings of people almost every day – even well into the night. 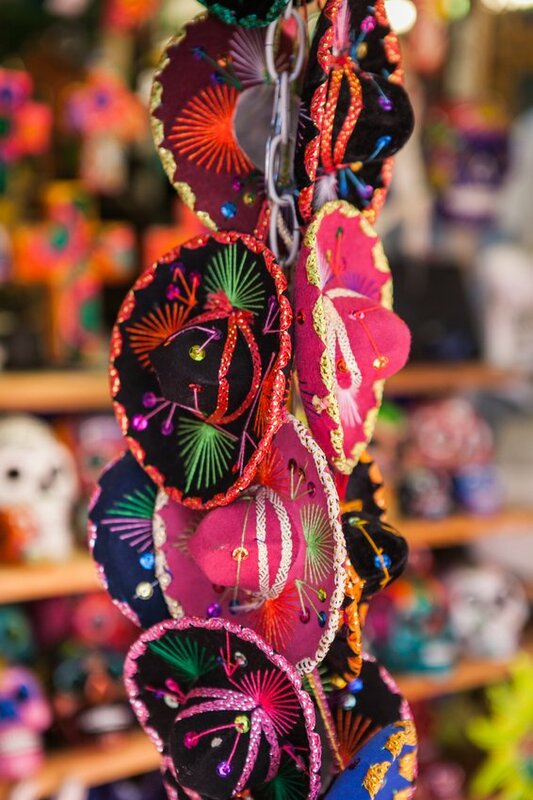 The zocalo is also a great place to shop. Local vendors spread their wares out on the side walks and in the streets. Four city streets surrounding the zocalo are closed to traffic. This really aids pedestrian traffic. This has been the only city in Mexico that I have visited featuring this smart urban planning. All of the other zocalos were open to automobiles which completely changes the flavor of those towns. Fancy shops are not located directly on the zocalo. For these you will need to travel a few blocks north of town. One thing that I learned from Oaxaca and other Mexican cities is that expensive shops are located in what appear to be crumbling and dilapidated buildings. You can never tell what sort of merchandise will be inside the store unless you can actually see inside. To tell which direction is north in Oaxaca you just need to face the tallest mountains in the distance. Oaxaca, unlike non touristy towns has really changed in the recent years. In certain areas and parts of the markets bargaining is now much more difficult. The peso is stronger now and the economy is better then it was several years ago. People have told me that several years ago cars were much older and more dilapidated then they are today. More luxurious shops have also settled near the zocalo. Oaxaca, as a tourist destination began to leak out in the mid 1990’s and tourism has slowly changed the city. There are a number of transportation options in Oaxaca. 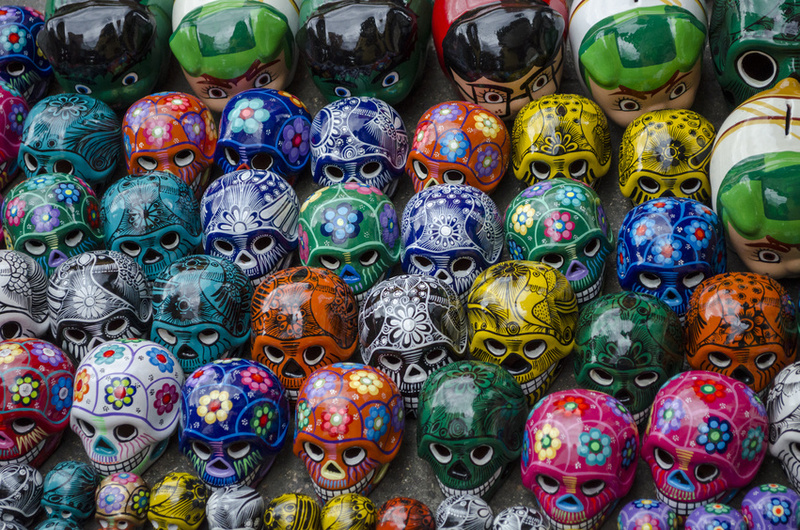 Walking is definitely the best way to see the zocalo area and the markets. Taxis are a good way to get to several attractions in and around the city of Oaxaca. I found that hiring a private tour guide through a reputable tour company was probably the most ideal way to see attractions quickly. Granted, it was a little more expensive then a taxi, but you could be more flexible. If you wanted to stop and see something on the way, you were able to tell the tour guide. Unlike most of the taxi drivers the private guide/driver waited around while I took pictures and toured through sites. They were also quite knowledgeable about the local history, architecture and indigenous peoples. The weather in Oaxaca can be summed up by one word, mild. This is because of the higher altitude. If you were to travel elsewhere in the state of Oaxaca you would find rather humid and tropical conditions. Throughout the year temperatures average in the 70’s and 80s during the day and at night usually in the 50’s and 60’s. The rainy season is from June through September. This precipitation usually falls in the afternoon, however the months of July and August often produce torrential downpours at any hour of the day or night. If you are visiting in the winter from a country that actually experiences a winter, be prepared for the strong sun. Because of the rather southern latitude and high elevation sunburn is a distinct possibility. While Oaxaca can no longer be truly considered ‘off the beaten path’, it is truly a must see for anyone who still believes that Mexico is all about the beach. Mike – one of our writers, Michelle just returned from a great trip to Huatulco in the state of Oaxaca. I look forward to reading her trip descriptions and seeing her photos. Great write up Dave. Oaxaca is one of my favourite places to buy souvenirs in Mexico.